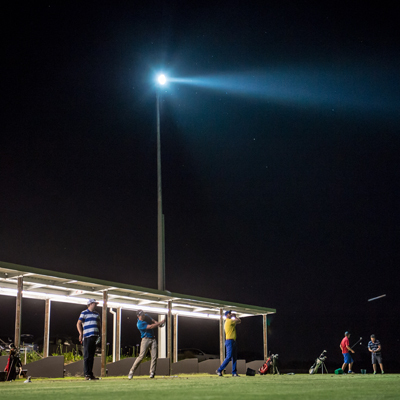 Lynwood Driving Range is open to the public from 6am to 9.30pm every day. It features a two tiered, couch grass tee with a 300m full distance and approximately 10,000 square metres of teeing area. With 16 undercover, all-weather hitting bays and flood lights illuminating the range once it gets dark, you will be able to keep practicing regardless of the conditions.